Topics: San Diego Comic Con trailers, Aquaman & Teen Titans, Mayans M.C., Lebron James raps, Denzel Washington, R. Kelly, Tekashi’s robbery + album reviews for Buddy, Hoodrich Pablo Juan & The Internet. What it dew Trillions! 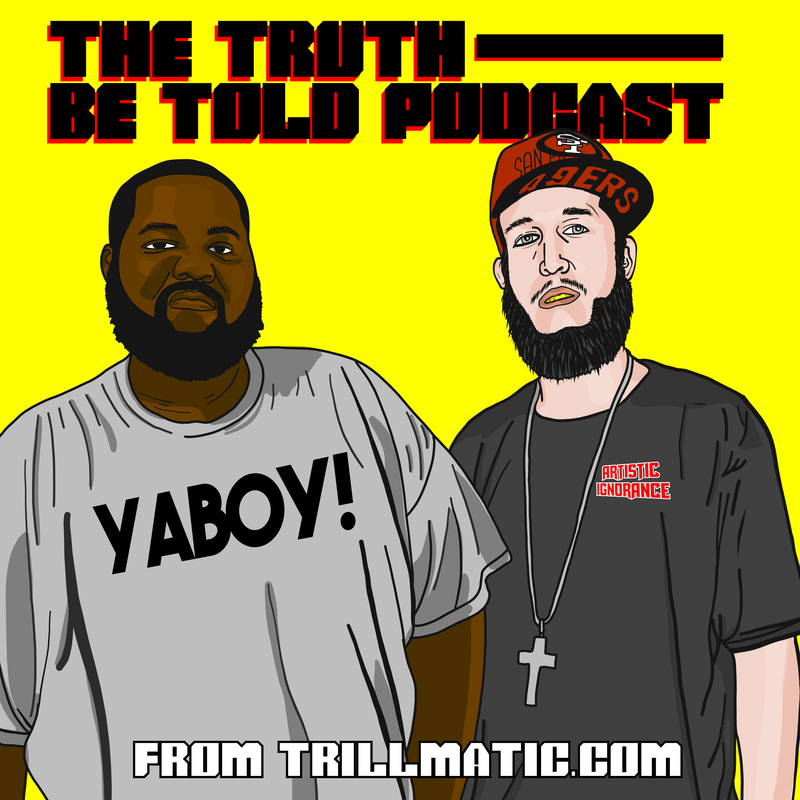 Back again with episode 124 of the Truth Be Told Podcast from Trillmatic.com hosted by Riffa & Bigg UU from Killeen. Thanks for supporting your favorite Hip Hop podcast! Be sure to leave a 5 star review! In this episode, we kick it off with some new trailers that debuted at the San Diego Comic Con this year. We touch on everything from Disney firing the director of Guardians of the Galaxy 3 to the trailers for Teen Titans, Aquaman and Mayans M.C. (29:18) Lebron James the rapper returns with some BARS! Won’t be long before the man becomes the biggest spitter in the game. (35:12) Tyler the Creator and ASAP Rocky are possibly dropping a new album this year. Which might help ASAP Rocky after dropping a flop this year. (42:08) We talked about Denzel Washington and his interview with Jamie Foxx and his new movie The Equalizer 2. (50:02) Tekashi 6ix9ine was recently beaten and robbed but did it actually happen? Or was it a publicity stunt to promote his new video ‘Fefe’ featuring Nicki Minaj? (56:45) Rihanna is dropping an all reggae album and it’s about time. Beyonce may also drop a new visual album exclusively to Netflix. (1:04:04) R. Kelly dropped a 20 minute song called ‘I Admit’ but it’s time to let R. Kelly go. (1:07:35) Chance the Rapper and DRAM drops new music but we didn’t hear it.